Hi Friends! Two posts in one day? I know...it's crazy and definitely not the norm! However, the fine folks over at Shutterfly wanted me to give you a heads up about a really awesome promotion they are running through tonight. 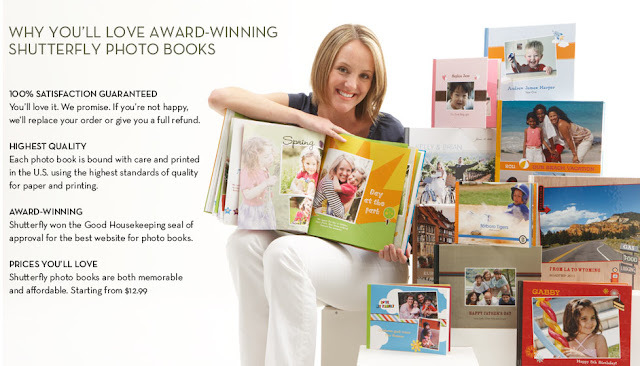 We all know that photobooks are a great gift and the perfect keepsake for your fave pics. In fact, The Husband and I made a few as gifts last year. See Shutterfly's photobooks here. Shutterfly is offering a free photobook with the code MYBOOK on orders placed tonight by 11:59 PST. Be a step ahead and place your orders for Mother's Day, Graduation etc. using this discount code. I know I am! Here's wishing you a lovely Tuesday evening!